Changes to MAP architecture improves scaling and allows on-demand spinup of modules making it more powerful than ever. Our latest release runs multiple instances of core modules (importers, calculators and invalidators) on multiple servers and has the ability to start and stop instances on demand. 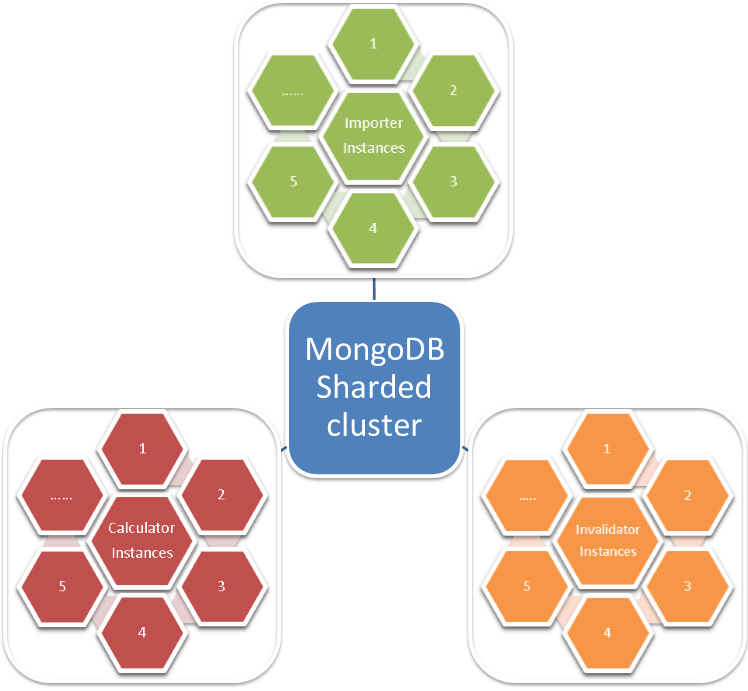 With MongoDB sharded across a number of servers, MAP has the core architecture to scale to any size and to handle any volume of data. MAP automatically manages the allocation of calculations to specific MAP instances for optimal efficiency and speed. Improved Failover. MAP will automatically retask work to other instances in the event of the failure of any instance. Load Balancing. By actively managing the tasking of work, MAP will balance load across all running instances. On Demand Spinup. Additional instances can be spun up on demand to cope with known increases in load. MAP automatically allocates work across all the instances . Specific to each data feed. Users create an Importer to import data from their native format into MAP. Invalidators continually trawl through the data and identify which CALC Items need to be re-calculated so they are brought up to date with the last RAW of CALC data they depend on.